Your Diabetes May Vary: I got Tagged. Here in, Pennsylvania, the hunting center of the know universe, tagged means shot. As in strapped to the hood of the car and being driven to the taxidermist. Kerri at SixUntilMe tagged me. I thought she was a real nice person reading her blog. That was before I talked to her on the phone, then she tags me. Well five us in one shot. That is impressive even by PA standards. Apparently, I must have said something wrong, I’m tagged now. I have to write a SIX word biography. OK I have lots of friends, like Nick, who will happily point out that is about five more than is needed after clown, and that is fair enough but those same friends and acquaintances know, I can’t say anything that briefly. Wait that was six words – we have a contender! Hey Six words - SixUntilMe - is somebody trying to extend the brand here? Serious isn’t solemn. Funny works better. And that just pisses me off. Crap how do you stop this? Don’t wear Bad Shoes at Disney. See? I can’t say anything briefly! I can’t stop! Tag me now. Said something wrong, I’m tagged now. I need to tag other blogs. Nick, for revenge, write six words. Don’t forget to leave a comment on the tagged blogs with an invitation to play! I like your blog, and I'm your neighbor. 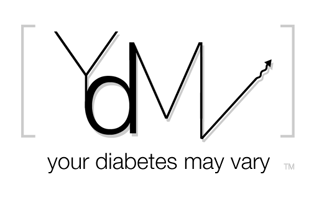 You have a great sense of humor, which is key, regardless of what your said diabetes variable may be. And unfortunately, the meme wasn't originally mine. I robbed it from someone else ... but it would be a great way to extend the brand, that's for sure. DING - Oh the HORROR!